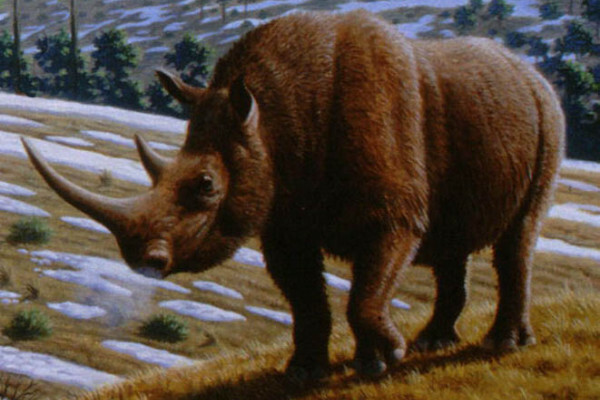 DIANA - This next news story talks about the famous 'Nichoria Bone', a large fossil of an extinct mega mammal, likely a woolly rhinoceros, that roamed southern Greece around one million years ago. It's significant because the bone wasn't found by a modern team of palaeontologists or fossil hunters, but excavated by ancient Greeks two and a half thousand years ago. DUNCAN - Wow! I didn't know there were fossil hunters living in ancient Greece. What were they doing with it? DIANA - Adrienne Mayor, a researcher at Stanford University and author of the book, 'The First Fossil Hunters', argues that the bone was deliberately collected and stored on the ancient acropolis at Nichoria. The area nearby was known in antiquity as the so-called 'Battleground of the Giants', the basis of myths surrounding the 'Titanomachy', and is a rich source of fossils from the Pleistocene era. DIANA - This bone was clearly a very significant artefact to the ancient Greeks who first discovered it, and Mayor argues that this and other fossilised remains may have been the originators of some of the early stories about Titans and other giant beasts in Classical Mythology. DUNCAN - Is the Nichoria Bone a unique find or are there other examples of fossilised bones being discovered at ancient Greek sites, or elsewhere for that matter? DIANA - Mayor points out that there are only two examples of large vertebrate fossils still in existence from ancient sites. There are folklore accounts of griffins in Central Asia, likely inspired by the well-preserved remains of Protoceratops dinosaur skeletons. However, the Greek historian Herodotus makes reference to the bones of Titans being put on display at various sites around the Megalopolis Basin from the 5th century BC onwards, which is an indicator that people in this region were regularly finding fossil remains and attributing them to the existence of Titans in the distant past. DUNCAN - So, where is the Nichoria Bone now? DIANA - Well, it was re-discovered by a team of archaeologists from the Minnesota Messenia Expedition during excavations at Nichoria in the seventies. It was then 'lost' in the realms of the store rooms at the University of Minnesota until it was found again, thanks to persistent inquiries by Adrienne Mayor, and spent the next 10 years in various laboratories around the United States. The bone has since travelled back to Europe and is now on display in the Greek and Roman Antiquities Gallery in Oxford. DIANA - Absolutely right. The fossilised crania of prehistoric elephants may have given rise to the myths about giant Cyclopes.